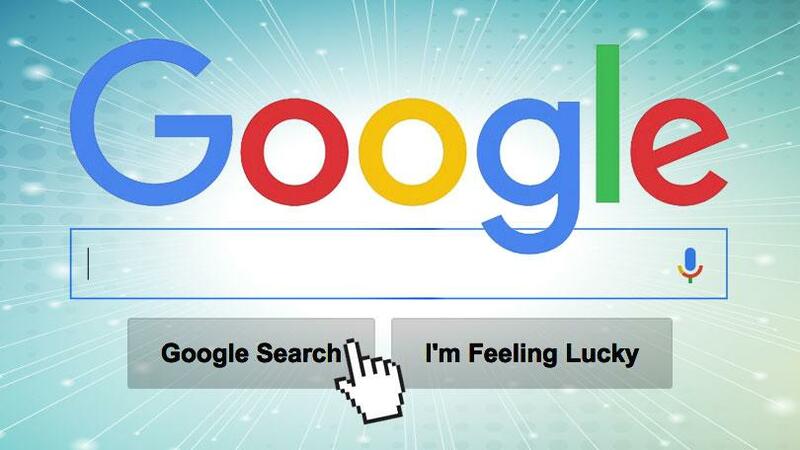 Test 10 Tips To Improve Your Google Searches: There is not only one way to search in Google. There is not only one way to search Google. Several tips allow you to do advanced searches or to use the search engine otherwise. If, like most Internet users around the world, you use the Google search engine simply by entering a few words into the search box, expect to be pleasantly surprised by what you are going to discover: in other ways To do a search and to solve the needs of everyday through Google. These tricks are not new and are usable in Google for a long time for the most part. They greatly facilitate research by helping the engine to understand and direct the requests submitted to it. Keep them in mind to regularly implement them when you search Google. When you enter two or more words in Google this one will search for pages that contain these words, but not necessarily in the correct order and sometimes giving more weight to one word than another. This tip will be particularly useful for searching for a "name" or "firstname" or a specific error message for example. To search an exact phrase around it, type it in . Nothing more annoying when doing a research than falling on results that are not expected. Example with "download on youtube" when trying to download a video, full results will offer the download of the audio track, but this is the video you are looking to recover. All or almost all websites include a search engine. It is unfortunately sometimes ineffective, especially when the content of the site is huge as on the forums of discussions. On the other hand, the content is not always well ordered by relevance. Google does not search the sites in real time. With a robot, it explores the web constantly and stores most of the pages it finds. Sometimes the result that we are offered is not or more accessible. You've already noticed the link under the small arrow that offers the "cached" version, saved by Google. To access a particular url, you can also use the " info: example.org " command (where example.org is the page address), it will also provide you with additional information in addition to the cached page By Google. If you regularly do complex searches and you are used to exploring multiple pages before finding a result, it can be tedious to change page every 10 results, this is the default functioning of Google. This is a little-known feature of Google but can sometimes be useful when looking for information about a product, an object or a person from an image. In this case, you must go through the "Images" link at the top right of the Google interface. Once you're on the Google Images search page, click the camera icon at the end of the search field and enter the address of the image that is the base of the search, or import the file from your computer. 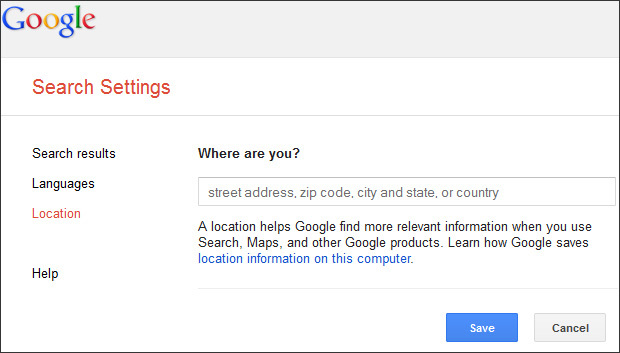 Google customizes the results based on your location but it is based on your IP address. This can therefore be fairly accurate or not at all depending on your actual location. Sometimes you miss a word to place in a query, especially when you're looking for a particular product you do not know the name. If the query by the question does not offer good results, you have the option of using a wildcard. 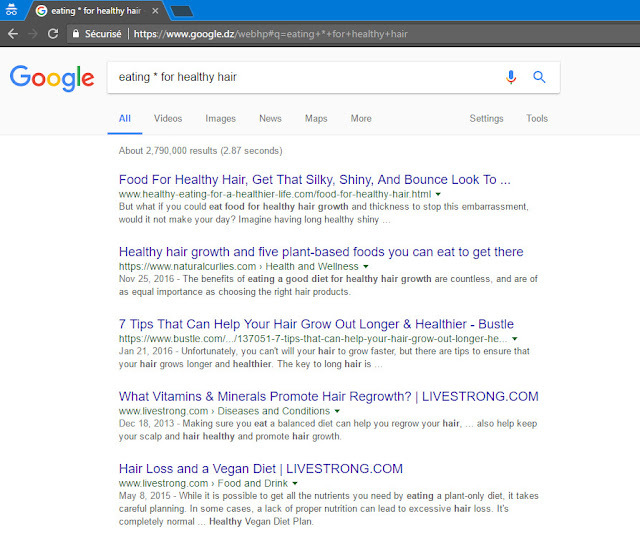 You can replace a missing word with an asterisk , for example, with the query "eating" good for health ", Google will return all results with the asterisk replaced by one or more words. You may have to make a query on numbers that vary: version numbers, dates, prices etc ... In this case there would have to be several searches, which is sometimes impossible. To simply combine many of these tricks, Google has an advanced search page. It can be accessed via the link at the bottom of the page or by clicking here . Use if you have not found your happiness in the tricks above.